Mystie (Simplified Organization) invited Dawn (By Sun and Candlelight) and I to chat together about planning! We’ll talk about planners, our strategies, and the nitty gritty – how do we plan, what does a week look like? A day? How do we live it? What challenges do we face? And most importantly, we’ll brainstorm together on ideas that might work for you because you can ask us questions in the chatbox! No one plans in the same way, and no one tool is perfect for everyone – but there are some basics we can share, and we can encourage you to think intuitively! Do you think in post-its? Clipboard pads of paper? Spiral bound planners? Or files? How do ideas naturally land for you? 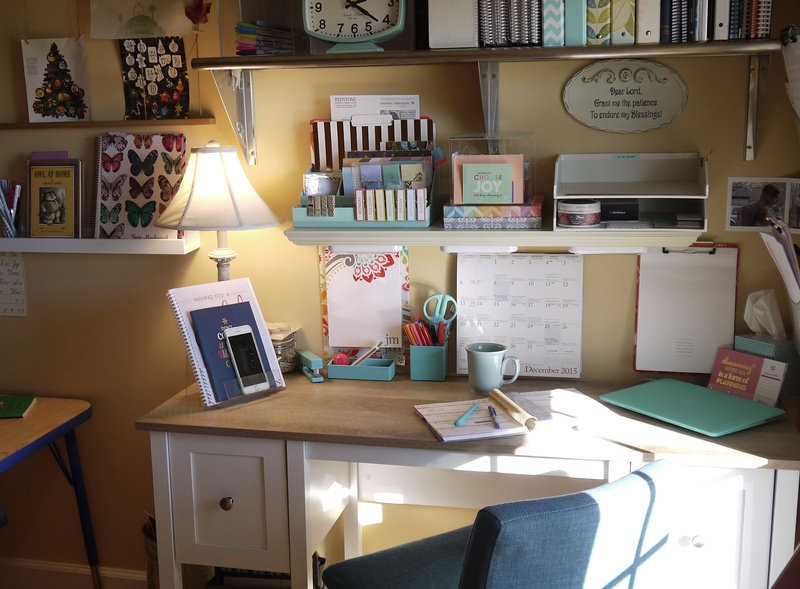 Planning is a foundational topic for us as mothers at the heart of our homes! Ever heard the phrase, “I’ll do that if I find the time“? Time isn’t something we find – time is a gift to steward – and it is not given in infinite supply. Managing time requires some thought, a little consideration and planning! And after it’s planned, we’ll have to bring some flexibility to the game so that we can be docile to God’s plans. God is a God of order, not chaos – so let’s talk planning as we seek order in joyfully living out days! View the replay and watch the chat here! 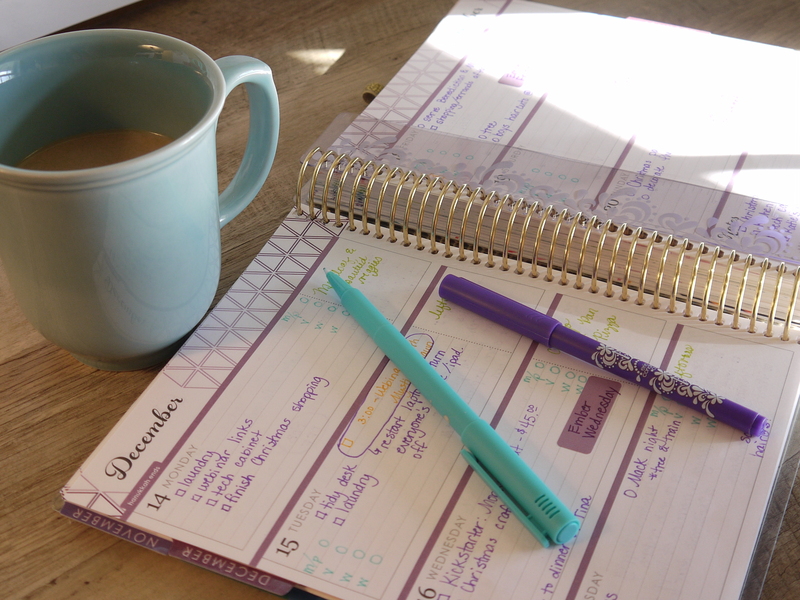 Erin Condren Life Planner – you can see my planner in detail and read about how I plan with it here (here is a link with a coupon that will give you $10 off your first order if you decide to order an Erin Condren planner – every little bit helps!). I keep my monthly goals, weekly and daily tasks here. And I use my planner to jot down my own personal goals. This tool is a place where most of my daily lists land and helps me steward my time wisely. Poppin – for a variety of inexpensive but fun planning tools, I love Poppin. I’m sort of a stickler for nice pens – and I love their ball point pens. I’m also a huge fan of their little task pads and love the letter size writing pads. The little notebooks are perfect for tucking in purses and bags – because they’re ruled!! I need ruled notebooks and so many of the small notebooks aren’t. And can anyone say: color?! You’ve ever been out shopping and wish you could remember what size shoes your 8 year old wears but never wrote it down. You just cleaned out all the kids’ closets for the seasonal switcheroo, but can’t remember if your older daughter needed a new church dress…or was that your toddler? Your husband called and is going to pick up a few groceries on the way home and wants your list. You have teen/adult children that run errands for you. You like to stop at used book stores but can’t remember the title of the books you were looking for. Your husband breaks into a cold sweat any time you and your van of children approach a drive-thru as he thinks of the litany of burgers and fries that you have further tweaked in order to get the best deal! The stars and planets aligned and your husband has a day off and asks you what you’d like him to do…and all of a sudden your mind is blank! Merciful heavens – perish the thought! Just click on over to your updated and prioritized “hubby to-do lists” on Cozi! We’ve been using Cozi as a family for several years. Once you sign up for an account, all the members of your family can sign up on the same account and then all your lists, your calendar, and your to-do tasks are shared and update in real-time. Evernote – this is another free digital platform which has become helpful in my own planning. So many of the resources, ideas and inspiration we enjoy are digital now. Evernote is a great way to organize and manage those resources so that they can be found and used! Confession: I found Evernote a little challenging to set up at first. It helped me to think of Evernote as a shelf – a charming little shelf that lives right above my work space. What imaginary notebooks would I put on that shelf to help me manage and organize my online resources? Hmmm…I started to think of the different balls I’m juggling – baby, preschoolers, high schoolers, home education, crafts, keeping home, book lists, seasonal activities, gardening, pantry management. What other forms of your inspiration do you collect online? Imagine you had pretty notebooks to hold all those fascinating and helpful articles you find around the web! Evernote is a system of notebooks that helps in managing and planning online resources. It will “clip” whole articles so that you have it all saved in one place. And, like Cozi, Evernote will sync with all of your smart devices making it portable and versatile. Bullet Journal – this is a “system” that works as a tool for me as I plan. It helps me think as I plan and helps me filter what I put on my planner for a week or a day. I use it in a modified way on my paper planner. If you’d like, stop back by anytime after viewing the chat! If you have more questions about planning or planning tools, or if you’d like to see pictures of tools, leave me a comment below and I’ll do my best to answer and I’ll expand this post with the pictures you request! There were some great questions during the chat – and we weren’t able to get to them all, so I plan to do a few follow up posts with some pictures! I’ll expand more on the question of how to begin introducing and handing over planning/time management to your older kids…with a few insights on young men. Where do I plan…and when do I plan? Do you plan an entire year or only seasonally? How do you prioritize what needs to get done each day? How do you deal with interruptions to your plan? Do you never feel behind when the lesson plan doesn’t happen? How do you decide what to let go? What to reschedule? When to press on? How do you stay focused on the day-to-day plan? Dawn does a lot of seasonal menu planning? Do you have a master list of menus? Have you ever struggled with putting the list first over people? How do you deal with other mommy friends who find your planning personality intimidating? I’ll link follow up posts from here so that this post can remain the starting point – and we can continue our conversations about planning! Thanks so much for taking the time to be part of this online chat, it was wonderful and very helpful! I really appreciated your wisdom and perspective. I really liked how you talked not only about the planning, but about what needs to be behind the planning. Thanks again! Thank you so much for your kind words! It was so wonderful to talk planning with all of you! I had the wrong time written down LOL! So I certainly need to listen to the replay. 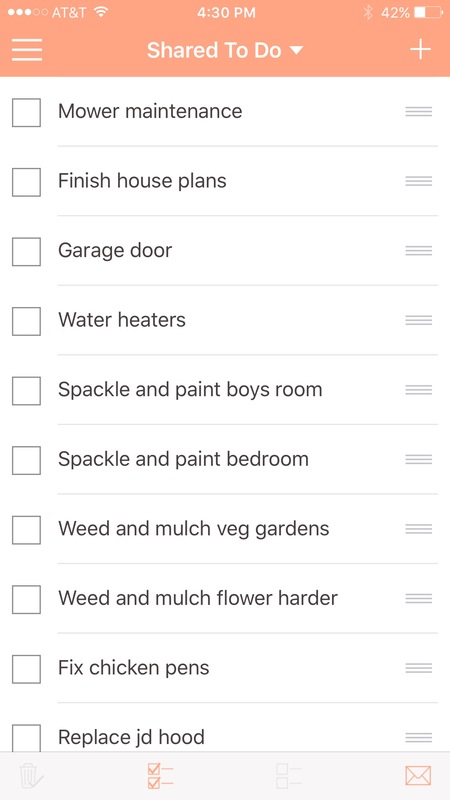 I always appreciate your planning ideas. Can’t wait to listen! Oh dear! It is wonderful that Mystie makes the entire replay available, and I believe she has grouped together all the many links to the various posts and resources in one place, too. Hope you enjoy! Planning, I love the thought of it and I love it when I do it properly, but I am so bad lately at maintaining any kind of planning rhythm. I need help with planning the planning time! That’s definitely a challenge – finding the time to actually sit down and get a few plans on paper and I can truly empathize!! I’m always brainstorming this one, Ellen! Can you make a date with yourself, Ellen? Set it for a couple of weeks from now. That gives you time to go to the store and grab a decadent little snack – maybe some dark chocolate or gourmet popcorn? Think of it as a little reward to have while you’re planning. I’m a cafe’-au-lait gal in the morning…and a wine gal post 8 pm – so those are my little decadent rewards that I “offer myself” when I sit down to plan. Just having them nearby makes me feel comforted and maybe a little pampered and a generous spirit ALWAYS helps when planning! Then, over the next two weeks, talk to your husband about your need for a little guarded time to plan and brainstorm times. Maybe he can help you? My husband is so great about offering to take the kids for a couple of hours so I can shut myself behind a door to plan if needed. Talk to him about needing a regular time to revisit your planning time…maybe a once a month trip to the coffee shop or library? Or…once a month an entire Saturday morning is yours – in your bedroom with all your planning tools and the bedroom door closed? Spend a little time thinking about little corners of your day that you could grab and expand on if you had a little help. In terms of the day to day planning and checking in…I’m definitely a swisher! With 5 kids, my husband, and various other duties, I swish through my planning here and there – adding a list, brainstorming a project, looking ahead, mapping out my weekly duties. Nothing ever takes more than 10-15 minutes because I invested the time to work on that big picture plan of items initially…so my “swish-planning” time can be spent pulling from the list, and adding little tasks that have come up. Thank you for taking the time to reply so comprehensively to my comment, I really appreciate your insights and suggestions. I have always sort of done planning on the fly and think that my planning style is only of the ‘swisher’ type. I think perhaps I should add somewhere into my routine a larger chunk of time to sit down and really work things through. I do honestly find it hard at this point in my life because I, too, have 5 children, but three of them are four and under! I am also currently nearly 7 weeks pregnant with my 6th and quite frankly, life feels a little overwhelming and I feel like I am just ‘putting out fires’ most of the time! Thanks again, I will re-read your reply and think about my life and how I can make things better. Thank you for your generosity of spirit and wishing you a blessed and beautiful Christmas. Jen, I’ve read your blog for many years although I very rarely comment 😉 I’m also a long time reader of Dawns blog which I love. I just wanted to tell you how much I enjoyed this planner talk, but mostly how your love of God and your personal relationship just shone through when you spoke. Above all else this is what stood out to me the most and was such a HUGE encouragement to me personally. I felt very convicted to spend more time on my knees in prayer for every aspect of my life. 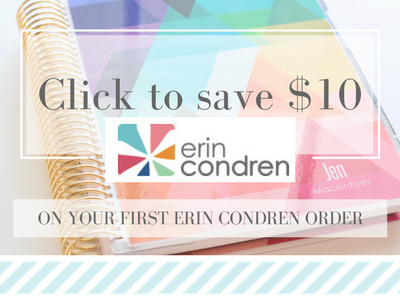 I love your Erin Condren planner and am super keen to try it out, but I’m not sure how to access the $10 promo code. Your link takes me to the page but no promo code is given. As I live in the UK and shipping is HUUUUGGGGEEE, this would definitely make a difference to my end cost. Any ideas on how to access the promo code? Your comment is so encouraging and truly means so much to me! If you click that link it SHOULD take you to a page that says “Create Your Account”. Once you do that – go shopping! Your $10 off coupon should be reflected in your shopping cart. If it’s not – DEFINITELY LET ME KNOW!!! 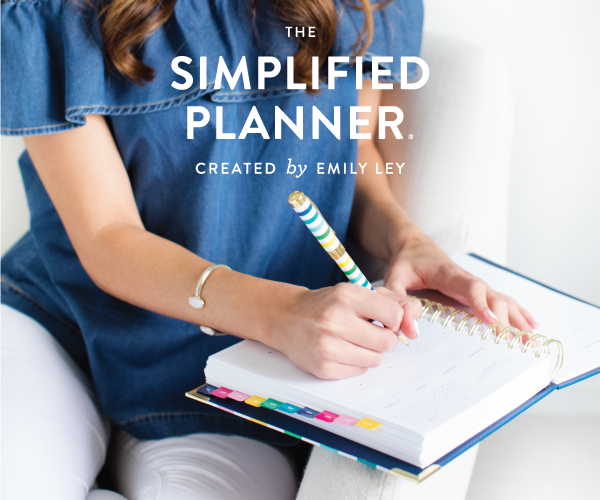 That’s a big deal to me because these planners, while worthwhile, are expensive! And family is money has to be spent as frugally as possible! That $10 off coupon is important! 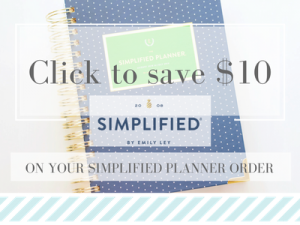 A hint: if you’re in a hurry grab one of the gorgeous ready-to-ship planners! It will ship quickly and they arrive with a coupon to purchase a free customized cover which you can go back and purchase later. 🙂 Happy ordering! And thank you again – your comment really made my day!! Jen, I’m a long time reader of your blog although I rarely comment 🙂 I’m also a long time reader of Dawns blog – both blogs I love 🙂 I just wanted to say how much I enjoyed watching the talk on planning but most of all how much I enjoyed seeing your love of God and your personal relationship with Him so evident in everything that you spoke of. I was really encouraged to spend more time on my knees praying about all the things that I think He wouldn’t be interested in. He is a God of order and details and IS interested in the details of our lives. So thank you for sharing again. I hope my comment is not duplicated, I seem to have ‘lost’ the first one I wrote – please do excuse me if it comes through twice LOL. 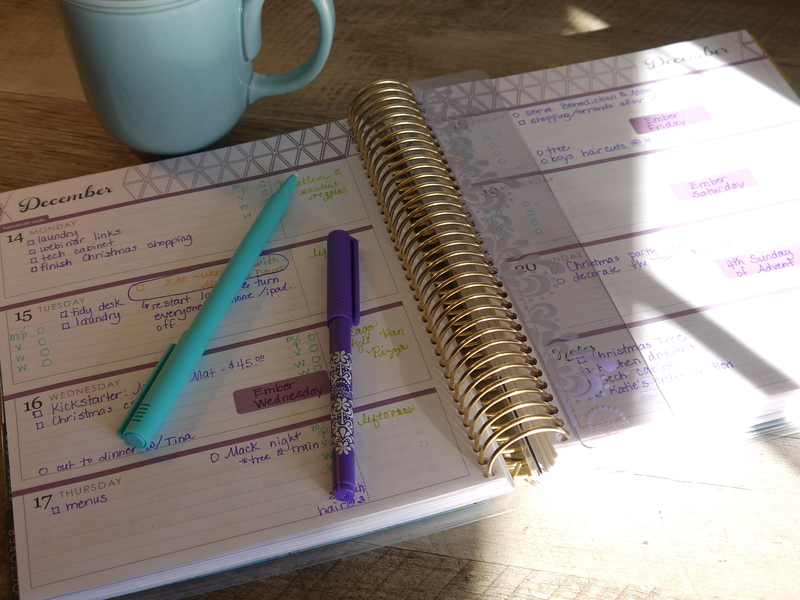 I would love to buy an Erin C planner – yours looks so lovely. I’ve used the link you left in your post but there does not seem to be a $10 promo code at all. Any idea on how to access this. I live in the UK so postage is hectic and the $10 off would make it easier to justify – even if it’s only for my own peace of mind LOL. Ahh, I see. No problem – I think I should comment more frequently LOL. I’ve managed to get that code – thanks so much. Kimberly, you are so kind and encouraging and I’m blessed to call you friend!!! Really enjoyed your “planner chat” with Mystie & Dawn!! And now I have a new blog to peruse! I will enjoy browsing here, much as I would in a book store or in an office supply store! I will hopefully find some answers to some questions that came up during your chat. If not, I might be back to ask a couple questions!! The thought I really needed to be reminded of mostly at this point – “God is the God of order!” I know it, I’ve lived it, I just needed a big yet gentle reminder! So, thank you!! Jen, you are a gift. I just wanted to drop a line to thank you for your contributions to the Webinar…it was so wonderful to see and hear all of you beautiful ladies. I come here shamelessly begging for more! Please consider another webinar series with the same ladies. Watching that Webinar was the most blessed, inspired, and refreshing hour I have had in a long time. You are all such beautiful, gentle and wise souls. I am in the midst of creating my own planner and will think of you and pray for your intentions all the while. Oh my goodness where did the purple pen come from? I love these pens but don’t have the purple! It’s from the classic set of EC markers, Maggie. The classic set writes with much more intensity than the current set. I love both sets! I think Erin Condren is discontinuing the classic set, but they may still be in her “Good to Go” section.